Hi! This is Keqin ( 可钦 ). 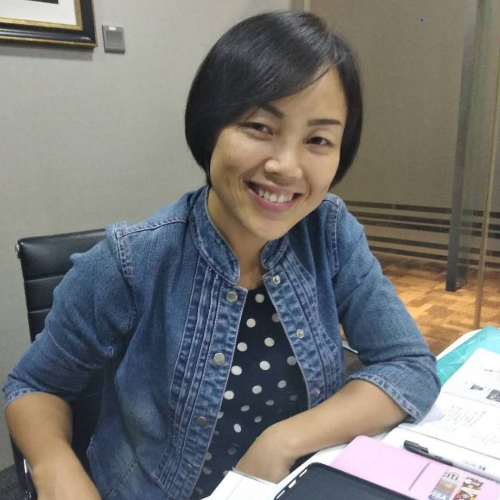 I am a certified Chinese language teacher with 10 years teaching experience. I am specialized in teaching conversational Chinese and HSK exam preparations. I love what I do! Trying different teaching strategies and creating effective teaching plans always make me excited. Have you been looking for a teacher that can deliver the lessons not only effectively but fun? Here I am! I contacted Keqin to start to learn Mandarin. As I didn't know anything as I have never studied before. She is very structured and helped me a lot to learn the basics of Mandarin. Also, I liked the flexibility with the schedule as my agenda was really complicated, the fact that she was always on time helped a lot also. Very neat, kind and organised, excellent skill of teaching. Keqin is so patient and encouraging, I feel very comfortable with her as my tutor! She also puts in a lot of effort to find material that is appropriate, and customizes our lessons to accommodate my learning goals. Thanks Keqin! Let's verify whether Keqin L is available for your class.